If you're anything like me, you've been waiting and wanting Jesse's Girl Cosmetics to come out with some cheek products. 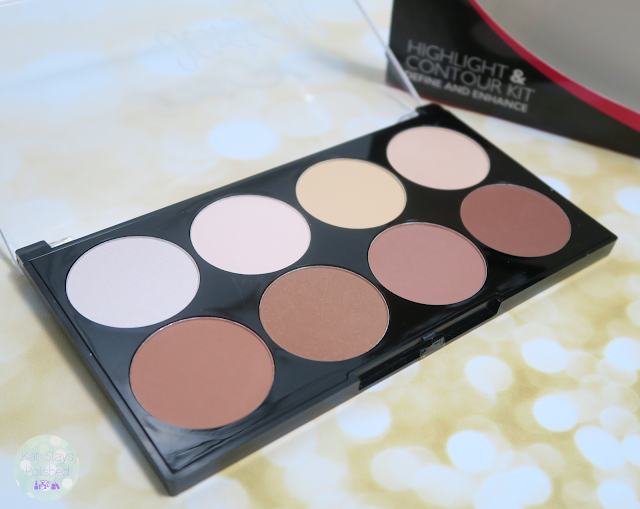 Well, out prayers have been answered because they now have an all-in-one highlight and contour palette! YES - there are 4 beautiful highlight shades and 4 amazing contour shades. 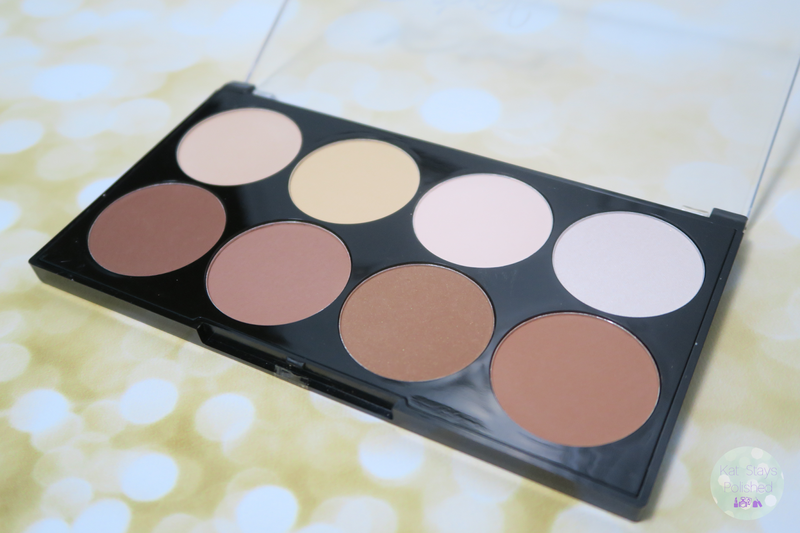 This palette is lightweight and easy to travel with. Keep it tucked away in the sleeve for easy storage! For just $12.99, you can have a palette packed with smooth, buildable powders that give you anything from a natural look to a completely bold and glam look. Bring out the best in your features with Jesse's Girl! 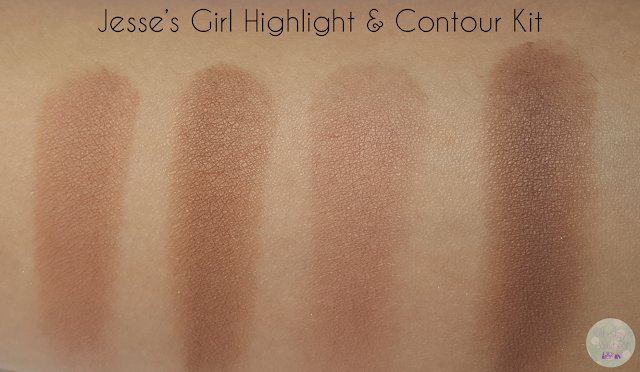 Below I have swatches of the highlight shades and then swatches of the contour shades. The third highlight shade i could actually probably use as a light setting powder. It's close enough to my skin tone and it's matte, which is nice. Or, I could use it for the simplest and most natural highlight for days when I'm not trying to look like I have something on. 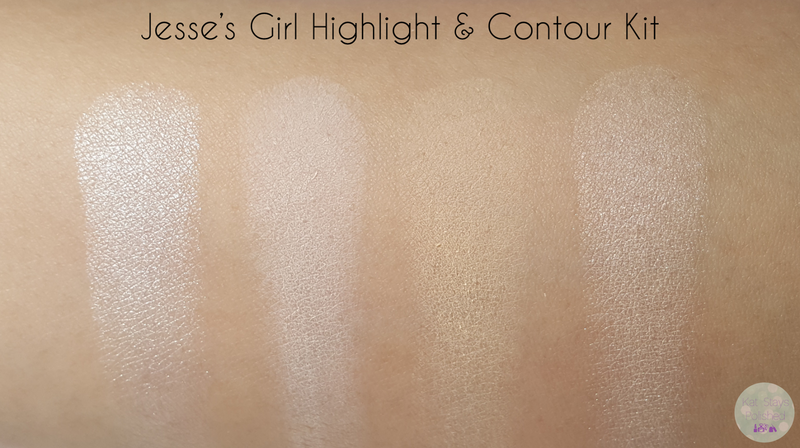 As for the contour shades, I think I'll find myself using the 2nd and 4th shades most often, especially when I get darker in the summer. The 3rd shade could almost act as a blush shade or be used in place of blush...maybe even mixed with a blush. There really are so many possibilities. 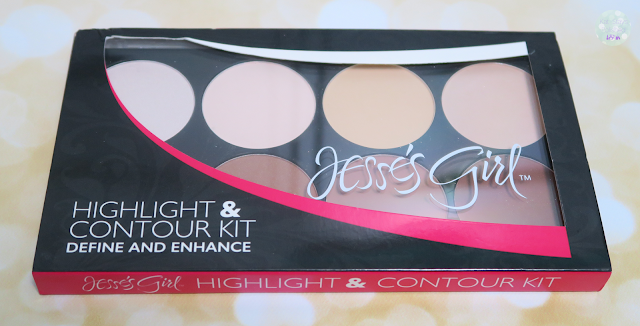 Are you excited about the new Jesse's Girl contour kit? I'm so happy they have one now. If you want/NEED one of these, you can find them online, at your local Rite Aid, and now on Amazon!! This looks like a pretty great highlight and contour kit. That looks like an excellent contour & highlight palette because there's wonderful range in the shades. It looks like a super cute kit. What a great price for so many shades. Looks like a good contour kit. I'm really liking this kit for my skin tone!